Another day, another bad news week for digital… well from a reputational point of view that is. With only one media agency so far suspending ads from the Google Display Network and YouTube in the wake of revelations about big name brands appearing next to extremist content, it’s unlikely that the digital giant is too concerned about revenues as yet, and money will keep pouring in to the UK digital ad industry as a whole until it reaches a predicted £9.8 billion by the end of 2017 according to forecasts from emarketer. Nonetheless, the question of how we got to this point still needs to be answered, and as always its root cause can be traced back to a fundamental deficiency in how we measure digital ad effectiveness: in other words, the perpetual preoccupation with the click. Too many marketers still measure CTRs because they can; malicious bots defraud the ad industry out of billions of pounds because it’s easy; the long tail of low quality content sites open up another ad slot because the supply of ad inventory is virtually infinite; and consumers download and install ad blockers because they’re getting sick to the back teeth of the whole thing. And what do marketers do when they discover that the people who are supposed to be clicking on their ads are blocking them or worse, aren’t actually real people at all? They demand more scale to compensate, irrespective of quality or cost to reputation… that is until they find themselves in hot water appearing next to unsavoury content. It’s going to be interesting to see how the evolution of analytics and measurement in data driven marketing helps to tackle the issues outlined above. Sure clients have a responsibility in asking the right effectiveness questions beyond simple behavioural metrics, but the role of data analytics and research should not be underestimated. For example, you can’t move for articles about the impact of artificial intelligence on marketing at the moment, while Ad Week Europe is stuffed full of sessions on the impact of machine learning in sifting through big data sets. New and powerful machine learning algorithms allow digital campaigns to be delivered with an unerring efficiency against specific ROI oriented goals; real time personalised experiences are being created for consumers through advanced UX techniques; while at the same time, AI is being used to detect ad fraud more accurately than ever before. While AI transforms how we analyse vast quantities of big data, it’s at the other end of the spectrum that data analytics advances will also be telling. While machine learning transforms predictive analytics, making ever more accurate assumptions about who we all are, it’s never going to be able to totally de-anonymise big data sets (and nor should it). Creating a richer single customer view about a known audience member complete with accurate contact details and marketing permissions will be the preserve of advanced CRM analytics. Richer CRM systems that stich together multiple data sets for known users will enable marketers to focus on micro level customer insight rather than chasing the shiny promise of seemingly limitless digital scale. It might seem slightly contradictory advocating big data techniques on one hand and “small” CRM data techniques on the other, but the two can live symbiotically in a virtuous circle. More accurate audience data can feed more accurate machine learning algorithms. If this in turn helps us measure and optimise ad impact in terms of actual long term value and ROI rather than simple clicks, it might just help pull digital measurement, and as a consequence digital as a whole, back from the reputational brink. If we stop rewarding those behaviours that are causing brands, publishers and consumers alike so much harm, and start to measure what brings them real value, then chasing scale at the cost of reputation will no longer seem like a gamble worth taking. 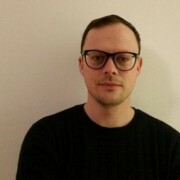 Ian Gibbs is the founder of Data Stories – an independent data consultancy focused on all things digital, advertising, media and publishing related. Follow Ian on twitter here or read his blog here. Sign up for exclusive access and email updates on new content and events. Why the future of A.I. in MR-Tech may be TaPaS not SaaS? Download Whitepaper - The Future of A.I in MR-Tech. Ian is the founder of Data Stories, an independent data consultancy focused on all things digital, advertising, media and publishing related. Drawing on fourteen plus years of experience in market research, data analytics, digital advertising and strategic planning, Ian employs a broad data-driven skill set to help his clients solve their business problems. He used to head up the Guardian’s Commercial Insight team with a remit to provide the strategic insight required to fulfill the Guardian’s long term commercial ambitions. Spanning display and branded content ad markets across mobile, desktop and print ad platforms, Ian has in his time taken numerous award winning research initiatives to market (such as Audiences Not Platforms) and elevated the Guardian’s reputation for thought leadership in the media and advertising space.